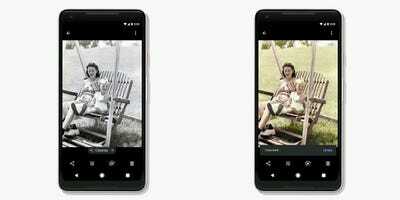 Google wants to super-charge your old family photos. On Tuesday, the Californian tech giant held its annual I/O developer conference and made a flurry of announcements. 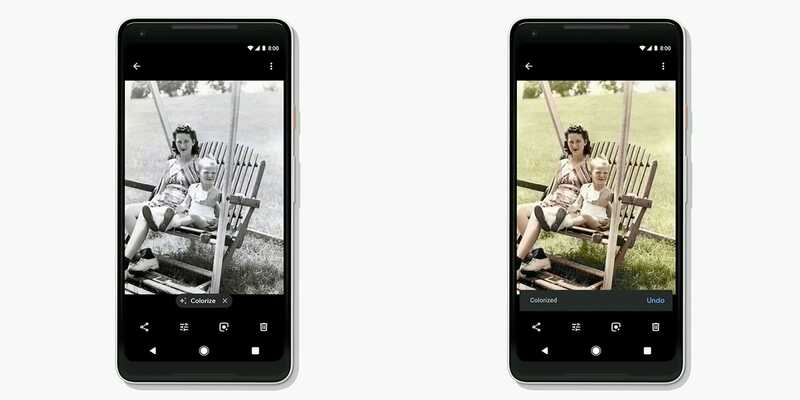 Among them are additions to Google Photos, its photo-storage app – including a cool new feature that will use artificial intelligence to automatically add colour to old black-and-white photos on demand. With a tap, a photo will go from monochrome to glorious colour, based on the colours Google’s AI thinks is most appropriate. The colorizing feature seems certain to be a popular one. There are already entire communities online dedicated to colorizing old photos. The Reddit community r/ColorizedHistory has more than 360,000 members, and share full-colour edits of classic photos from history, from Albert Einstein to John F. Kennedy. These are painstaking works of art, and Google Photos seems unlikely to be able to match their often-perfect reproductions (at least at first) – but for people who want to view their old family photos in a new light, it could be revolutionary.